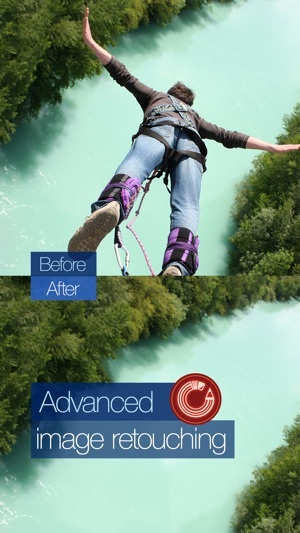 Improve the general look of your photos by performing both global and local tonal and color corrections in them. 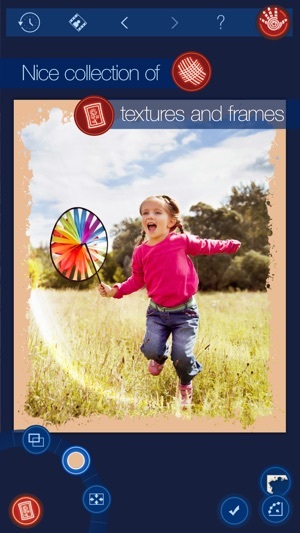 With a few taps and swipes only, turn your images into vivid and vibrant works of art. Remove unwanted content from your photos in a tap. 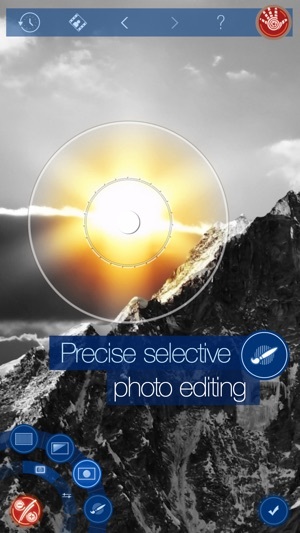 Mobile image retouching has never been so fast and easy. Is it possible to move any object within a single photo or to another image in just a few taps? The answer is yes when it comes to the Move Me tool. With it, you can do the impossible – move objects in photos to the locations they would never move to in real life. With the Handy Photo’s powerful photo filters, which include Black and White, Bleach Bypass, Color Standout, Cross Process, Dramatic, Duotone, Fog, Glow, Golden, HDR, Halftone, Ink, Lomo, Old Photo, Polarization, Polaroid, Sepia, Sketch, Smart Contrast, Tilt-Shift, Tiny Planet, Vignette, and Vintage, you can add whatever artistic effects wanted to your images. 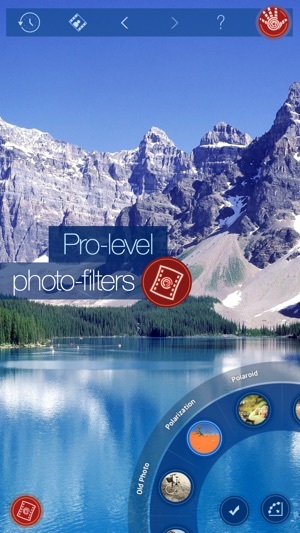 The filters are all adjustable and, thanks to the partial application feature, can be easily combined within photos. Apply the Handy Photo’s terrific textures to your images to make them truly pop. You can select from the following categories of textures: Abstract, Cloth, Clouds, Frost and Ice, Grunge, Paper, Water, and Wood. All the textures can be adjusted to taste and applied to photos partially. The tool is called Magic not accidentally. It allows uniquely uncropping photos. No other app can do that. 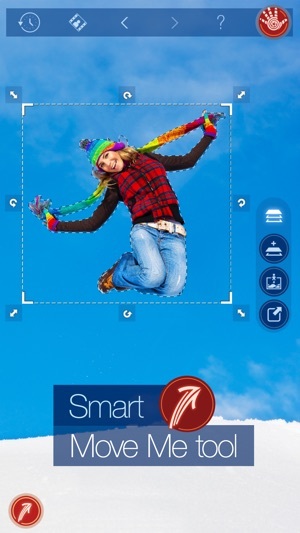 Moreover, it allows straightening crooked horizon lines in photos without sacrificing their original size. Before showing your photo to the whole world, it’s quite important to appropriately frame it. The Handy Photo’s excellent collection of frames serves just that purpose. Put the final touches on your photos by adding the following frames to them: Autumn Leaves, Carton, Film, Glass, Grunge, Lace, Paint Splashes, Pencil Sketch, Photo Album, Polaroid, Retro Photo, Sea Shell, Torn Paper, and Vintage. Supports all iDevices, including iPhone 4/4s/5/5s/5c, iPod touch 4th Generation and newer, and all iPads. The images of the resolution higher than maximum allowed will be automatically resized. 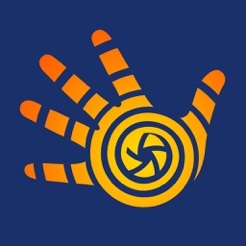 Download Handy Photo right now and enjoy unlimited photo-editing freedom! Hasn’t been updated to fix various issues. Firstly, I’ve really enjoyed using this app to make quick corrections or take some creative liberties with the built in filters - it’s a great app to have in your IOS toolkit. The problem now for the last year or so is that absolutely none of the textures work anymore. I sent ADVA a help request in February of this year and was told that they were working on it - sadly it is now almost August and nothing has been done. I hope I can revisit this review and give it the 5 stars it deserves, but as of right now I unfortunately cannot. I commend the creators of this fine app! Numerous useful features. Along with normal exposure controls and filters, this app excels in simple controls for sophisticated uses like Retouch, which easily eliminates flaws, or a broad collection of frame types including my favorite the INNER LINE frame. The interface is easy to use and the various tweaking controls well chosen for useful outcomes. Using HANDY PHOTO, high quality professional output is possible with no pain. I love the app's capabilities, when it works, but it has become unreliable. Not sure if it's because of recent iOS updates. I'm finding when working with Snapseed and I attempt to open my photo in this app, it won't load or it loads an unedited low quality original. I've tried using my saved photos, and I get the same result. The photo won't open in this app, or I get a version with with a greenish tinge. I've tried deleting and reinstalling, and that doesn't help. I hope that it can be fixed, but for now I'm deleting it.